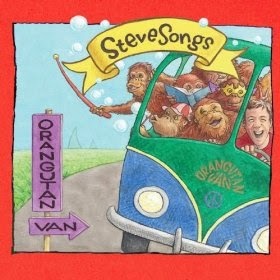 I've been listening to and enjoying the SteveSongs album Orangutan Van for about a year now. What has been keeping me captivated in that song is how easily we are led to rhyme, and how hard it is to fight against what seems so darned obvious. obvious leaps of rhyme it's easy to make, and how hard it is to fight against them, once everything else is set up in motion. Here's the first set of lyrics. The two singers (Steve and Anand) trade off and have to finish each other's phrase without rhyming. So we can sing it for you. Yeah, It's going to take time. They probably trade off about 20 times, and although it's rehearsed, I love this game! SteveSongs is the work of Steve Roslonek, a Connecticut resident who has been performing on PBS since 2008. 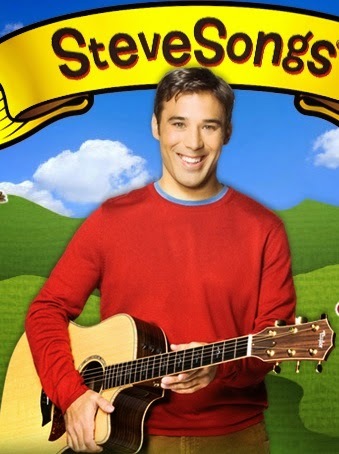 There, he is one of the main interstitial presences in between shows and episodes of Curious George, Clifford, and many of the other shows on the station. He acts as a host and helps introduce some of the concepts after the animation is over. If you've seen those shows, you probably know his work. 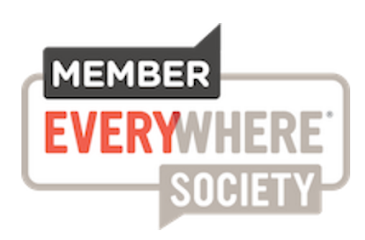 His work is engaging, clever, and not condescending at all. Another song I love on the album is the title track Orangutan Van, about a guy named Dan who lives in Orangutan land and drives a van that transports Orangutans around . It's a counting song, but it's done so cleverly (and the concept is so clever) that kids learn to subtract as they fill up the van with a band, some cheerleaders, some reporters, some banana flanne, and a whole bunch of orangutans. He's got lots of other great songs, including a song about Martin Luther King Jr. (All In This Together), a song about being a Superhero (with a special appearance by Secret Agent 23 Skidoo! 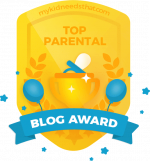 ), a song about Flat Stanley, and lots of other educational/entertaining songs. You can listen to tracks/purchase his album online on Amazon, or visit his website to find out more.